Your Teen’s First Car: Is Cheaper Always Better? Many parents go to great lengths to help their teens acquire their first vehicle when they finally turn 16. However, since teens are new to the driving world, these cars are typically “beater” cars – used cars and trucks that could have a few problems lingering under the hood. Buying these types of cars allows parents to teach their teens about vehicle responsibility, the importance of car care, and even how to fix different vehicle problems. However, is that cheap car really something you want your new teen driver handling? Repairs – Knowing how to repair basic problems on a vehicle is a skill that any motorist can value. But will your teen know how to fix the automobile correctly if and when a repair is needed? Can you trust his handy work to properly diagnose problems and make necessary repairs that won’t put him at risk when he’s driving the vehicle? Not everyone is good with a wrench, and you could be setting your teen up for failure if the problems are outside of his capability. Malfunctions – The older and more used a car is, the more likely it is to experience sudden failures or incur problems that make it unsafe to drive. This is something you’ll want to take into consideration before purchasing a used car. The last thing you want is for your teen to be stranded somewhere because the alternator failed. Used vehicles can have a wide range of problems that the seller forgets to mention or doesn’t know about. You and your child should take some time to inspect the car thoroughly to ensure that it’s in decent driving condition. Brakes – Do they feel “squishy?” This could signify air in the lines or another serious problem. Seat belts – Do they latch and stay locked when you tug on them? Tires – Are you able to shift them back and forth by hand? This could signify several different problems, from bad tie rod ends to bad ball joints. Wobbling When Driving – If you take the car for a test drive, does the car seem to wobble or otherwise vibrate the steering wheel? This could also indicate a wide range of problems that can be an easy fix, such as simply balancing the tires to prevent them from popping on the freeway, to something that requires much more work. Is New a Better Choice? – This is not to say that anew car is automatically a better choice. While it’s far safer than a used one, there are other factors to take into consideration. Can you justify the expense of a new monthly payment? Can you take on that payment and full coverage insurance on an extra vehicle that will be a new driver’s primary method of transportation? Not all teens will smash their first cars, but not everyone is in a position to buy the latest and safest thing on four wheels. Used cars don’t have to be a death trap for your teen. As long as you pay attention to what you’re buying and spend a bit of time ensuring the vehicle is safe to drive, your teen could have a used car that lasts for years to come. 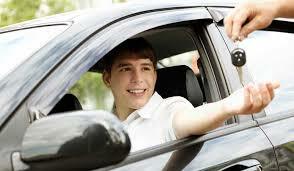 Be mindful of what they are driving to help keep everyone safe on the road, your teen included.